There have been some questions regarding the differences between the traditional Legacy MCAS and the Next-Generation MCAS tests. The following information, from the DESE website, explains the differences in testing as well as scoring. In general, the new standards for 'Meeting Expectations' are more rigorous than the standards for reaching the 'Proficient' level on the legacy MCAS, and the computer-based format is new for our students. Because of these changes, we anticipate a difference in scores compared to previous years. Please know that all students have participated in tutorials and practice tests in preparation for this change. How are the computer based next-generation MCAS tests different from traditional Legacy MCAS tests? In spring 2019, assessments in grades 3–8 and 10 in English language arts (ELA) and mathematics and grades 5 & 8 science and technology/engineering (STE) are next-generation MCAS. Those will be reported using the next-generation achievement levels. The other remaining assessment, high school STE, will be reported using legacy achievement levels until it transitions to next-generation. Next-generation tests are designed to assess students' critical thinking skills, as well as signal students' readiness for success in college or a career after high school. Next-generation tests will include existing MCAS questions, questions developed by the Partnership for the Assessment of Readiness for College and Careers (PARCC), and new questions developed specifically for the new test. Next-generation tests will primarily be computer-based tests. Computer-based test questions can include richer content and a greater range of accessibility features; tests have the potential to be scored more quickly and at a lower cost; and computer-based testing reflects the reality that students in the 21st century are using technology in their classrooms and their daily lives. Next-generation tests will include writing on the ELA test in every grade; in the past, MCAS tests included a separate composition test in grades 4, 7, and IO only. Student performance will be reported using the same process as the traditional MCAS tests: students will receive a scaled score and an achievement level for each next-generation test they take. These results will be included on reports for parents/guardians. Good teaching is not just a matter of being efficient, developing competence, mastering technique, and possessing the right level of knowledge. Good teaching also involves emotional work. It is infused with pleasure, passion, creativity, challenge and joy. It is a passionate vocation! Substantive and timely professional development expands the competence and the confidence of teachers and, in doing, significantly enriches the teaching and learning dynamic at work in the school. Are we acting in accordance with our fundamental mission? Have we clarified what we want all students to know and be able to do? What is the most effective response for students who are not succeeding? What are the discrepancies between actual conditions in our school and the school we strive to be? What are our plans to reduce those discrepancies? Are the proposals under consideration consistent with our vision and values? What steps are we taking to advance vision and values in the day-to-day operation of the school? What results do we seek, and what evidence are we gathering to assess our effectiveness? Have we established systemic collaboration as the norm in our school? Are there more effective ways to fulfill our mission, vision, and values? At LPS, we are focused and engaged in reasoned dialogue and reflection to assure that we are who we purport to be as educational institution. In essence our reason for being is dedicated to providing our students with the core content knowledge, the essential skills, and the social emotional disposition to successfully navigate the challenges and the opportunities that life may present. The 2019 Learning Prep School Boston Marathon Team Roster has been finalized, and our dedicated runners are ready to roll, but they cannot do it without you! Amy Davis returns to lead our team this year for the fifth consecutive year. Our popular EMS Principal brings energy and enthusiasm to everything she does. Amy has raised close to $60,000 for Learning Prep School's Family & Friends Fund during her first four marathons. 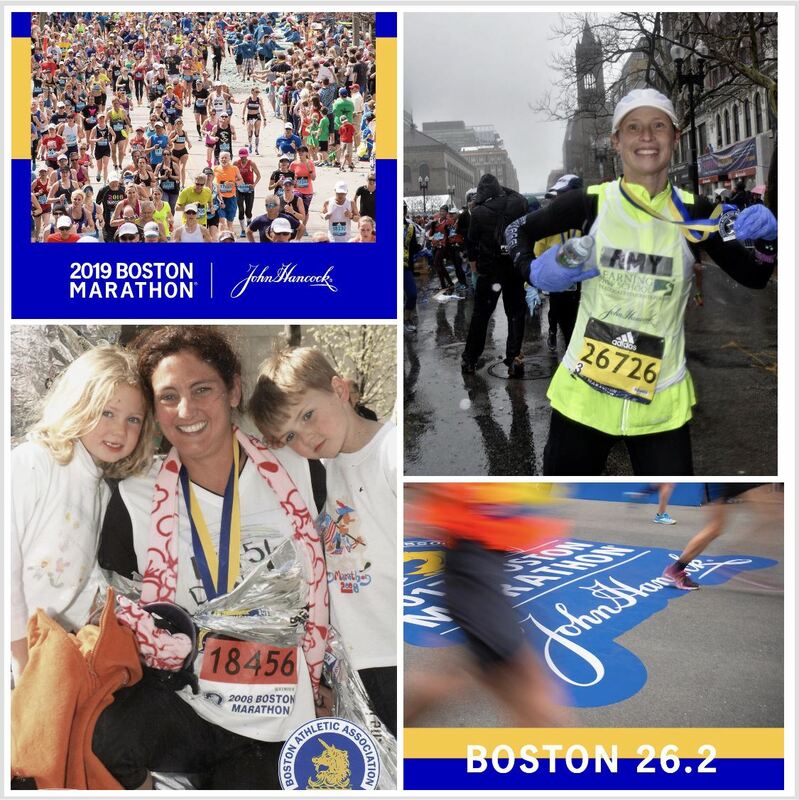 Sponsor Amy's run in the 2019 Boston Marathon and you are also supporting the LPS Family & Friends Fund. 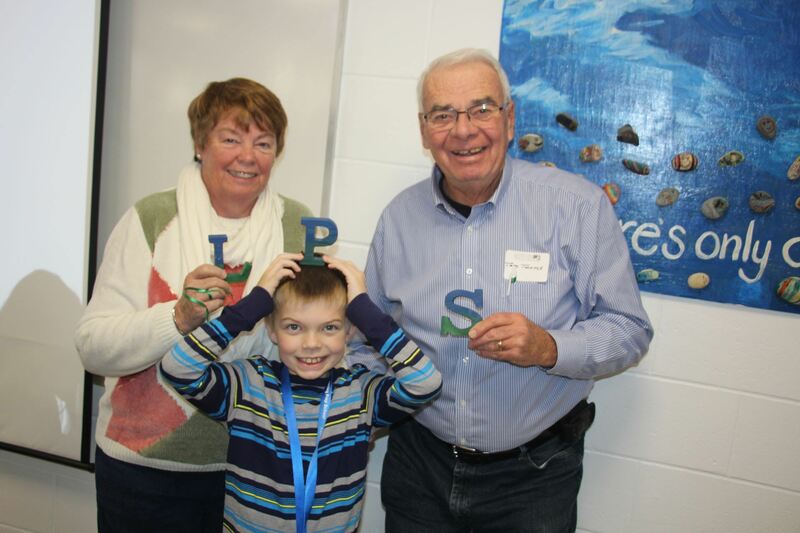 The F&FF supports the LPS operating budget that is stretched thin providing small classes, educational counseling, Occupational Therapy, Speech and Language, Social Communication, and Thinking Maps™ to aid executive functioning, enrichment opportunities, and college and career readiness opportunities that prepare our seniors for life after LPS. As a non-profit organization, we depend on donors like you to help us close the gap between our budget and our operating expenses so we can continue to provide dynamic learning experiences for LPS students. Last year Amy endured the most treacherous conditions in Boston Marathon history overcoming frigid temperatures, gusty winds, and freezing rain to the already grueling marathon course. We are so proud of Amy and all that she does for LPS! CLICK HERE to support Amy in this year's race! Recently a runner from Fort Worth, Texas named Denise Bynum was selected to join Amy Davis in representing LPS in the running of the 123rd Boston Marathon. Denise ran her first marathon in 2005, but not long after her first marathon, she tragically lost her husband, Mark, who died after complications from a severe accident. Denise knew that she wanted to raise her children on her own, and maintain the life that Mark had envisioned for them. Denise wanted her children to be proud of her and to inspire them to be their best. To overcome her grief and encourage her children, she returned to running marathons; this helped her stay focused on her goals and marathons became an essential part of her life. We encourage everyone in the Learning Prep School Community to support Amy and our Marathon Team, at a level in which you feel comfortable, for their effort and sacrifice in running the 2019 Boston Marathon for our students! No gift is too large or too small. It is all about joining the team and helping our runners get across the finish line. Once again, to sponsor Amy, Denise and our team, go to our secure Crowdrisepage at https://www.crowdrise.com/…/learning-prep-school-boston-2019. Dark, Cold, Snowy, icy….all are words that can be used to describe our New England winters. We go to work in the dark and come home in the dark. We get the winter messes like we did this weekend and wish we were in warmer weather. The snowblower doesn’t work and the stores are out of ice-melt because it was 50 degrees last week and no one was really thinking of snow. We battle the lines at the grocery store for the makings of french toast that we won’t be able to make if we lose power anyway! No wonder some us find ourselves down and less productive during these months! Let the sunshine in! Any bit of sunshine can lift spirits. Open the shades and let it in. Get moving (and outside). Exercise has been scientifically proven to improve your emotional well-being. Even 20 minutes a day can help. Getting outside in the fresh air can also do wonders for your mood. Bundle-up for a brisk walk and take a deep breath! Get together with friends/ family. It is tempting to hunker down in your PJs and slippers when the sun and the thermometer goes down but spending time with others in or outside the home can boost your spirits. Plan a game night, go bowling, walk the local shopping mall together! Welcome back to LPS! I hope everyone had a safe and restful vacation. 2019 is here! It is always so funny to send the students off before December break with the “See you next year” phrase and watch them all do a double-take. It is kind of funny to think that a new year has begun especially when people who live in the academic world think about “a new year” starting in September. However, a common tradition for the start of the actual new year is to make a new year’s resolution. I was watching Jeopardy on New Year’s Eve and Alex Trebek mentioned that one of the contestants made it her New Year’s Resolution last year to be on Jeopardy and…VOILA here she was. I was struck thinking, "Wow, how does one just make something like that a resolution and then make it happen?" The contestant mentioned that she made it her mission and trained every way she could to gain the knowledge and skills (there is skill in that finger clicker) to make her dream come true. It made me stop and think, "Wouldn’t it be nice if everything were that simple?" I see our students work so hard every day (likely harder than that Jeopardy contestant) to gain the knowledge and the skills necessary to answer that history question, do that science experiment, write that paragraph, take a social risk, answer those math questions, make a friend, pass the MCAS, pass that driver test, get a job, and on and on. Additionally, I see LPS staff work so hard every day to ensure that we are educating your students for all aspects of life. There are not many easy VOILA moments in our students lives, but rather hard fought battles that make it all worth while. We have many exciting things ahead for the next 6 months and are looking forward to continuing to help students grow and learn with the same commitment and intensity as that Jeopardy contestant, with the hopes that all of our students, can achieve their own "VOILA" moment. Through their Professional Development Groups (including Education Directors and Principals, Chief Financial Officers and Business Managers, and Emerging Leaders), maaps provides timely and relevant workshops. Topics covered in their workshops have included Program Reconstruction, IT Disaster Recovery, Importance of IRS Form 990, Supporting Families through Separation and Divorce, MCAS and Accommodations, Occupational Therapy in the Classroom, Coaching for Excellence, Influencing Organizational Culture (Chaired by Ted Sharp), Special Education Law, and Employment Law. The speakers at the workshops are experts currently working in the field. The workshops help to keep leaders and employees at 766 schools engaged in important topics that affect all special education students. Learning Prep School has benefited significantly from these workshops. In addition to providing training workshops, the maaps Action Network provides an easy to use online portal for Massachusetts residents to contact their legislators regarding budget or policy issues that affect 766 schools. Signing up is easy to do and can be done online at the maaps website. Once you sign up, you will receive emails from maaps inviting you to respond to your legislators. The communication will be directed at the appropriate legislators based on your legal residence. The Action Network has been instrumental in assuring that 766 schools receive the appropriate funding to provide service to special education students. There is also a helpful section for parents. The “For Parents” section covers such topics as College Resources for Students with Disabilities, Tips on Finding a Good School, Common Abbreviations used in special education, and Evidence Based Practices. I encourage you to visit the maaps website to better understand all that is offered by visiting their website at www.maaps.org. Trying to get the best deal Black Friday shopping, I was in a store, contemplating which gift to buy, when I overheard 2 teenage employees talking to each other. They were swearing and talking about inappropriate things while clearly not doing their work. I couldn’t help but think about “kids these days” and how so many of them lack the more social/work behavior skills needed to keep a job. On average, we will spend over 40 years of our lives working. It’s hard enough to find a job that we like, but it’s more important to be able to keep it. According to LinkedIn, the key to success in the workplace is having the ability to communicate, problem-solve, collaborate and organize, otherwise known as soft skills. As you can see, the focus of all exploratories, electives, and job sites is more on the development of these highly sought after soft skills needed in any environment or employment opportunity and less on mastering the specific job at hand. Because of this focus, our students are better positioned to gain and maintain employment. This Thanksgiving we will gather with family and friends to celebrate the gift of good health and the opportunity to spend quality time with one another. On behalf of all of us at LPS, enjoy this special time of year with your family and friends. During the past year here at school we have accomplished much and, like all successful organizations, we have much left to do. Indeed, high performing institutions will have much to accomplish each year as they are always in pursuit of excellence. As we have stated before, at LPS we welcome challenges for the opportunities that they present, each one enabling us to rededicate our collective energy, talent, knowledge, and passion to advance our mission and educational program. It has been six months since May 2018 when I shared my annual State of the School message with extended LPS community. Underlying all of our work is to institutionalize best practice in all facets of our educational program. In a more succinct fashion than that narrative, here is an updated listing of our major accomplishments and the work in which we are continually engaged. Developed an ongoing three-year Strategic Plan and together with our mission statement, this is the common reference point for all of our work at LPS. Designed and implemented a comprehensive Curriculum Review & Development Protocol to guide the articulation, sequencing, and assessment for the educational program across the grades. Designed and implemented a Student Citizenship Protocol focusing on the development of character and the understanding and responsibility for contributing to the common good. This protocol is based on our LPS Code of Conduct and it is advanced by common themes, readings, and discussions between and among our students and staff. It is designed to take advantage of the teaching moments that are frequently presented in class and during activities, opportunities to reinforce our core values of respect, responsibility, courage, compassion, and honesty. Refined and reinforced the development and assessment of short (annual) and longer term goals for all LPS personnel, as well as an annual evaluation of all personnel. Designed and implemented a protocol on the competencies required to perform as a highly effective school leader. These essential skills and knowledge are presented and discussed on a periodic basis with our senior level and mid-level administrators. Initiated and continue to develop a relationship with several area 766 (Special Education) schools intended to provide opportunities for our students to interact with peers from other schools through engagement in athletics and activities. Appointed a Director of Athletics and Activities to guide the work intended to expand our After School Program at LPS. The precursor to this initiative was the development of our Blue/Green Spirit Program and the resurgence of our school mascot, the Panther. Developed a Program Review and Reconstruction Plan as required by the State and recently received formal approval for this plan. Secured a major gift from a corporate foundation enabling us to renovate the Greenhouse and reintegrate the horticulture program effective as of August 2018. All policies and job descriptions have been reviewed and edited where required. Redesigned our transition/work study program by complementing job site experiences with course work and field trips designed to expand student competence and confidence as they prepare for life after LPS. Advanced select personnel appointments designed to improve the delivery of services attendant to those positions and offices. Developed and implemented an ongoing three year maintenance and capital plan for the school. Extensive landscaping of the school grounds, the renovation of the greenhouse, lowering of ceilings to improve acoustics in the high school building, replacing old carpeting, installing new lighting throughout the school, sanding and re-staining the woodwork and door in the EMS, developing a student lounge (the Panther Den) for the juniors and seniors, continuing to replace older furniture with new, and continuing to invest in technology. These serve as tangible examples of infrastructure improvements designed to effectively and efficiently support the educational program. Establishment of the Partners in Education (PIE) program providing a forum for a healthy and transparent partnership between the school and parents designed to enhance the educational experience for all students. This initiate also includes expanding the number of Parent Advisory Group (PAG) meetings from two to four. Our LPS social media program and options have been expanded and the LPS website is continuously being updated. The Office of Development and Alumni Relations has established an Alumni Executive Council and a robust program of opportunities for LPS alums to engage with one another. Advancing student voice and leadership by including student representation on the Blue/Green Spirit Committee and the Wellness Committee. Teaching and learning remain at the center of our work. The dedication of our faculty, staff, and administration is in evidence each day. The well-being of each student is paramount! And finally, as always, thanks to all parents for the privilege of working with your sons and daughters. The clocks have been changed, the leaves are falling from the trees, and Thanksgiving is just around the corner. At Learning Prep School, we have so much to be grateful for! We are thankful to have had a great turn out for our Grand Friends' Days last week. 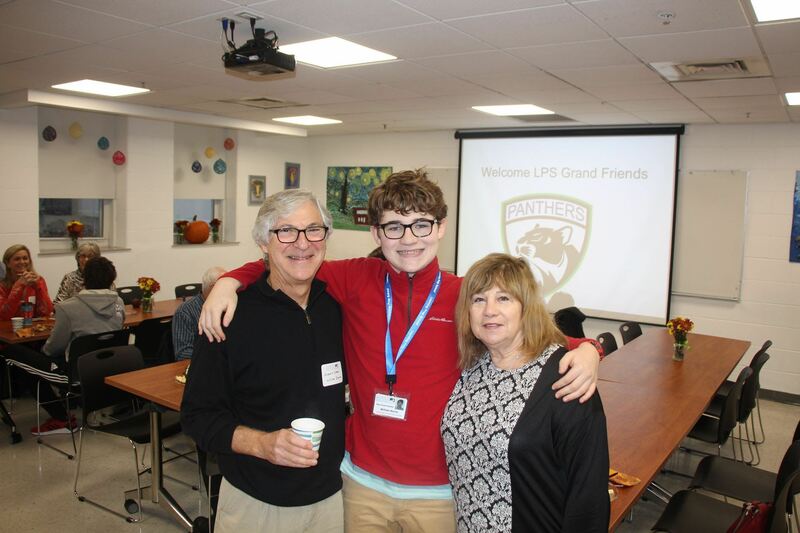 Grand Friends heard all about LPS and its new initiatives while enjoying breakfast with their LPS grand-friends. It was wonderful to hear so many amazing success stories! Several attendees asked how they could become more active members of the Learning Prep School Community. Here are some ways to get involved with LPS! Attend campus events! Come to our Anti-bullying Prevention and Intervention Plan Review on Thursday, November 8th from 8:30 - 10:00 AM.